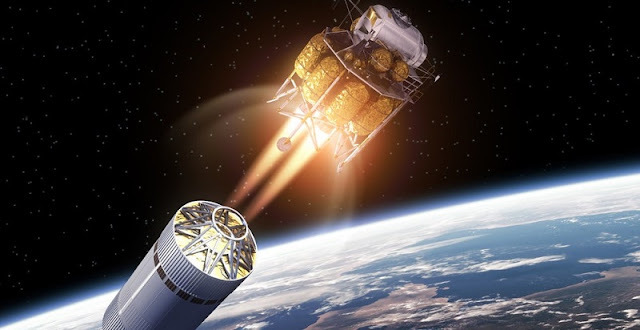 Satellites and space stations that remain in orbit for a considerable amount of time rely on hypergols, fuels that are so energetic they will immediately ignite in the presence of an oxidizer (since there is no oxygen to support combustion beyond the Earth’s atmosphere). The hypergolic fuels that are currently mainly in use depend on hydrazine, a highly toxic and dangerously unstable chemical compound made up of a combination of nitrogen and hydrogen atoms. Hydrazine-based fuels are so carcinogenic that people who work with it need to get suited up as though they were preparing for space travel themselves.